It says right up front that this is not a book about caring for the caregiver; this one focuses on the patient with dementing illness in an almost businesslike fashion. It's a refreshing approach. While the patients in the book are relatively advanced in the illness, be aware that the techniques would be especially fruitful if adopted EARLY in the illness -- they create good habits. It was useful to have an insight into the emotional state of a confused episode and to be reminded that the patient truly wants and needs to retain function. The advice is to resist the urge to do everything for them! And the tips show how to help them continue to do for themselves. The techniques are great, though there are far too few examples of "cueing", considering the importance of that particular technique. The reference section or author's web site may address this. Create a caregiver "family" from friends, real family members, neighbors, coworkers, and acquaintances. Hold a meeting to organize your group, and introduce members to the Share The Care systems that guarantee every job will be done and no one person will have to do too much. Discover the hidden talents within the group, make the most of their resources, cope with group issues, and stay together in the face of adversity. This book will get you on the right path! This book was truly a blessing to our family. My mother-in-law was diagnosed with ALS (Lou Gehrig's Disease) a year ago. Her brother found this book and passed it on to us. Using this book as a guide, we created a "Share the Care" group to help meet all of her needs - both physical and emotional. Our group now has over 40 members - some people take regular shifts during the week, others just help in ways that they can, like bringing over dinner once in while. 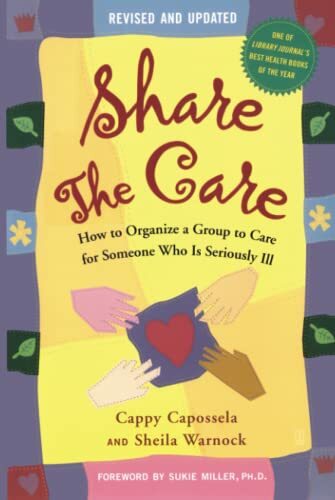 Often times, friends and family of the ill want to help, but they don't know how - this book helps to organize a group that can "share the care" so that everything doesn't fall on one or two people. It prevents the "burn out" that can occur with care giving. When you read this book, it's important to remember that it is a guide. Stay flexible enough to use what works and mold a group that will work for your specific situation instead of gettting frustrated if you find that certain aspects of the program are not working for your group. The bottom line is that this book will get you on the right path to making a difficult time much more manageable. Good luck! This book will move you past the fear of a fearsome illness. I have previously done all this, organizing a group of 32 people. This book would have been a godsend. The only thing I can add is: Keep a journal in the home of the person who is ill so each caregiver can leave a message for the person who takes the next shift. Include the feelings... calm, agitation, worries, the food taken or refused, the little touches that made a difference, the massage or the body that hurt too much, the closet straightened or bathroom cleaned as well as the medicines taken or refused. It greatly helps the group to feel together and to support each other, and helps the incoming person step into the flow. This is far and away the most hopeful book I've ever encountered on heavy duty outpatient care-giving. When faced with an eldercare or illness care crisis, did you ever think you would hear the words "You don't have to..." without feeling guilt? Well, read on. "You don't have to do things you don't want to do, you don't have to do things you are afraid to do, you don't have to do things you feel you're not good at," say our authors. "The power is in the group. Among all of you is the solution to any problem." Between these covers is a complete how-to manual on setting up a care-sharing group that will continue to function for several years if necessary and out of which everyone emerges enriched. Too good to be true? I certainly hope not. The advice sounds hard-headed and real. The authors first introduce you to the case that launched their method, that of a terminally ill cancer patient friend. Hearing how well their approach worked is an eye-opener in itself. Then they get right down to the nuts and bolts of how to organize a care-giving group for one's own situation.. It takes planning. It takes nerve. It takes paperwork. And you have to think big - don't invite just a few intimate friends to your first meeting, invite absolutely everyone you can think of! (You' d be suprised who sticks around.) But the alternative - that of the classic 36 hr day for one or two hapless family members - is so clearly worse that you might as well try it. Hey, I have elderly parents and I'm about to send copies of this book to all my siblings. Will appeal to: anyone with a situation on their hands. This book is being used by a group of about 30 women (and a few men) to organize the care for a friend who is in stage 4 breast cancer. Our friend has decided to decline further aggressive treatment and wants to live out the rest of her life at home with as much love, dignity and well-being as possible. We (her friends) are dedicated to helping her do this and this book is our guide. It has something for everyone, from suggesting emotional bonding exercises and the do's and don't of conversation with terminally ill people to the practicality of providing forms to organize grocery shopping and other mundane day to day needs. It has been great for our group to support our friend and each other as we share the care. A critical-care nurse in coronary and emergency medicine for eighteen years, Echo Heron has seen and heard it all. Here she recounts narratives of real-life medical dramas experienced by nurses across the country, sharing with us the inspiring, the tragic, and the outrageously funny: a penitentiary nurse who wasresponsible for orchestrating a murderer's execution; a stroke victim who rose out of his depression when his nurses began telling him jokes; and, perhaps the most riveting testimony, moment-by-moment memories of several nurses who served in the aftermath of the Oklahoma City bombing. As a R.N. with 30 years experience, I look forward to Echo Heron's books because they depict the profession of nursing truthfully and with humor. I was not at all disappointed with this current release. Ms. Heron has put together a book of interviews with nurses that is fast-paced, gives such an interesting history of the profession, and aptly depicts nursing as the part of medicine that still focuses on advocacy and compassion. I am proud to be a nurse, and even more proud that there are people like Echo Heron who continue to speak out in favor of good patient care and bringing caring back to the practice of medicine. This is a book that is a "must read" for anyone in the medical field, while "lay" people will also find it totallly absorbing and impossible to put down. Echo Heron is a Registered Nurse who writes medical stories on the side. Some novels are of her own experiences, others are fictional thrillers with lots of nursing thrown in, and many open your eyes as to what the RN's see and feel on a daily basis. This one is a collection of true nursing stories from nurses all over the USA. Some of the nurses were there for the victims of the Oklahoma bombing and tell their stories. Of course, all the names are changed and few details left out. But this book was one of the most fascinating to read. A word of warning though. I could not read this one straight through. I had to stop sometimes due to emotional overload. The book holds no punches back and you will be walking in the shoes of the nurses who tell the stories. I cried from despair and then laughed from wild humor in the very next story. You never know how they will end. But, of course, neither did the nurses as the events unfolded to them in reality. Should be required reading for all medical professionals! 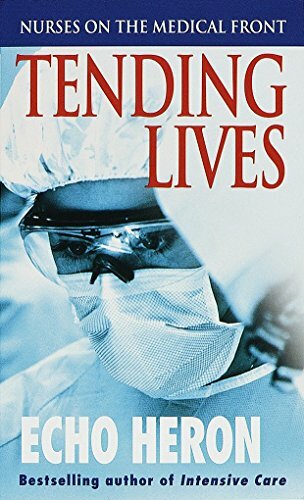 Reading Tending Lives by Echo Heron incites a feeling of joy one minute, anger and frustration the next. The book is a compilation of nurses' (and one paramedic's) frequently shocking but definitely real tales of the medical profession. Often while reading I thought to myself, "yeah, that too has happened to me so many times!" There are several stories critical of HMOs, hospital administration, and doctors, so beware if you are one of them! There are some "good" doctor stories too. Be prepared to hold your stomach for a number of stories; I thought I had seen just about everything, but after reading this book I realized I certainly had not. I loved this real portrayal of nursing! I first read this book when I was in RN school. I thought to myself, "What am I getting into?" But I loved the book, and I couldn't put it down! I loaned it to a friend and have since bought two more copies. Now that I have been an RN for a year, I see more of what the nurses in Echo Heron's book go through every day. And, even though I am worried about what the future holds for my profession as the nursing shortage looms above us, I have never been more proud of the title that I have. I love my job, and all that it means. I am very proud to be a nurse, and am also very proud to share my profession with someone like Echo Heron, who is not afraid to tell anyone what she thinks, and she is usually right on the money. Keep writing Echo, and we will keep reading. When someone you care about is diagnosed with cancer, what should you say? What should you not say? What are the best ways to offer help, or to help children understand what is happening? When Life Becomes Precious is an outstanding resource for answers to such uncomfortable questions. It includes specific tips for cultivating a support network, avoiding caregiver burnout, managing fear and anger (in both yourself and the cancer patient), finding the best doctors and other health care professionals to plan treatment, preparing for hospital visits, and, for the patient, dealing with cancer when at the workplace. Written with tact and warmth, this book is filled with advice that's likely to escape your mind during this time of stress, from 14 questions to ask before surgery to the medical and legal documents to have handy at all times to 8 reasons for switching doctors. Babcock, who has 23 years of counseling experience, also offers guidance for what to do when the cancer patient refuses all medical care: "Someone who refuses treatment and understands the repercussions of his decision is not in denial," she says. "You will have to learn to respect and accept his choice, however, even though you disagree. No other stance will support him, even though you think it will." Best emotional support book on the market! This is absolutely the most incredible survivor and partner-support book I have ever read. Having had to deal with several close friends and relatives over the past couple of years who have been dealing with cancer problems, I just was at a loss as to the best way to handle everything. What to say, what to do, how were they REALLY feeling? Stuff like that. 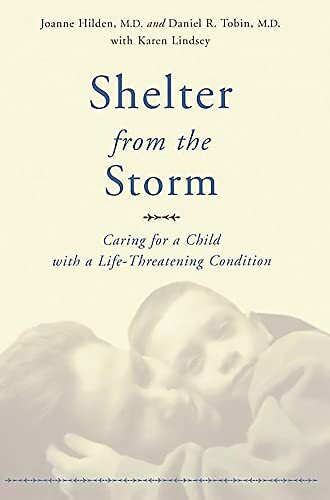 This book explains it all in a way that not only makes sense, but give you a sense of hope that you can actually help people deal with these health crises and major life transitions in meaningful, caring, and loving way. I have actually used the book way beyond just cancer support also. It was helpful with my own Mother, who passed away in November, in dealing with her heart and lung problems. It's just a great communications tool. Think of it almost like a Spanish-English dictionary: only this is a patient-supporter dictionary. The patient has things that they're thinking and feeling that THEY understand, but you don't. This book will translate all that for you. I have probably given 2 dozen of these books to my own friends who are dealing with these issues themselves either as patients or as patient-supporters. This book is a true gift to the world. 41-year-old Friend Visiting: Read The Reviews Inside! I just read these Reviews on the inside of When Life Becomes Precious. I've given her book out many times but I just noticed these comments while I was visiting. Many are similiar to what my friends have said over the years. I am thankful that this book has been here when I needed to support my friends and this year when it hit my mother. Each time I read it, it gives me new insights, a new approach to helping those I care about; but these great writers describe her book better than I ever could! "Written in a warm and friendly manner...immensely resourceful...when you are in crisis or pain, you need this book." -Suzzane Mintz, president, National Family Caregivers Assoc. "...Deserves a wide readership...Elise has demonstrated great insight and skill in writing When Life Becomes Precious." This truly is a fabulous resource! The information is quite straightforward and covers a wide array of areas/issues that are certain to be impacted by the news of a loved one being ill. The components of the book cover areas such as understanding your feelings, how our fears play out in the ordeal, how to have conversations regarding the illness and ramifications of the illness, how to find resourceful medical care and how to balance one's role in life given the situation. I would highly recommend this book for people who are going through the challenge of a loved one being ill, as it applies to not only cancer patients - but all who have serious health issues. Caregiving usually doesn't happen gradually. Families are often thrust into the situation because of a crisis, without any experience on how to manage the overwhelming stress, responsibilities, legalities, and medical aspects. Gary Barg has done an excellent job sorting it all out with 'The Fearless Caregiver', guiding the reader through the maze. Very easy to read, motivating, empowering, and highly recommended! Gary was a welcomed guest on my Internet Radio Program, 'Coping with Caregiving' on wsRadio. Online archive available. Jacqueline Marcell, Author, Elder Rage. A Must-Read for all Caregivers! It is about time that someone tackled the issues that caregivers face. It can often be a lonely and confusing time. 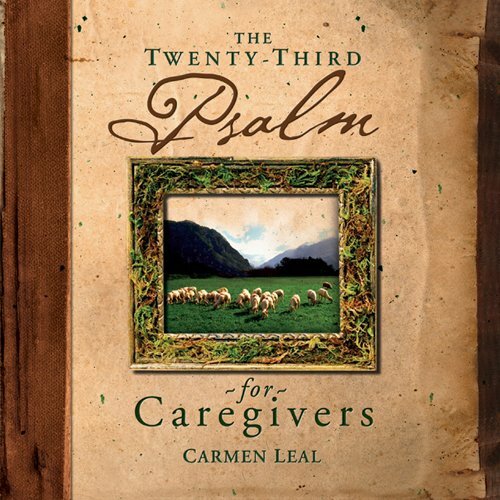 I was a caregiver for my mother a few years ago and looked everywhere for a book like this. I needed something to walk me through all of the things I didn't understand. 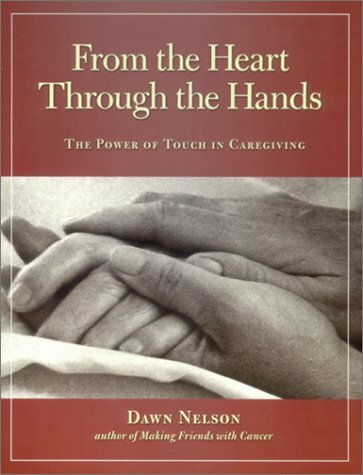 This a well-crafted, easy to read and understand book that all caregivers should read. I wish it had been available five years ago! I recommend it highly. I recently purchased this book by Gary Barg. 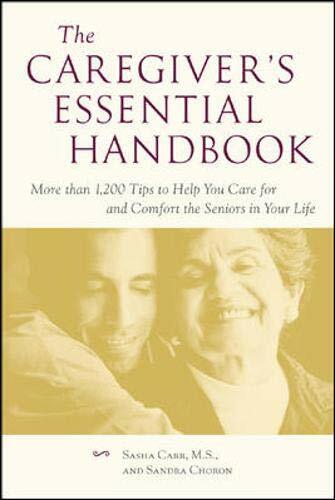 It is a terrific source for all caregivers and has every aspect that needs to be addressed in it. It takes you through every part of caregiving, from how to take care of yourself to attending to legal matters promptly. There is a list of ideas to help make your patient safe in his/her surroundings. This is valuable tool for every caregiver. It is superbly written and easy to read. It has been placed in our Parkinson's Library for our members to read. 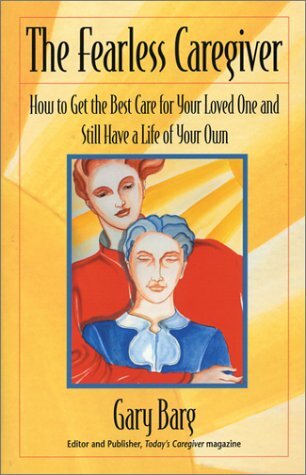 This book compiles a variety of articles and poems, helpful practical hints and thoughtful commentary on the difficult task of caring for a loved one. As the owner of an internet list for caregivers of Parkinsonians, I have recommended it to others, and have received feedback from them, which indicates they found it "worth every cent" of the cost. 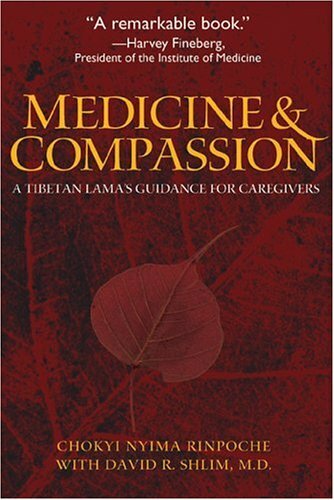 The format is very readable, with short pieces suited to the busy lives of caregivers. Finally ..... something at MY level! When our 5 year old daughter was diagnosed with a Brainstem Glioma, the hospital and Child Cancer Foundation (in New Zealand) gave us books to read, if you wanted to wade through all the technical stuff, personally I couldn't cope with it all. Then when I was looking at sites on the internet, I read about this book. I had a look at it at Amazon, and thought about it for a few days, trying to weigh up if it would be relevant to NZ'ers. I finally took the plunge and got it. I am soooo relieved that I did. Suddenly I was able to read something and actually get some benefit from it. The inserts from the parents are wonderful - suddenly I don't feel so alone, and the advice is universal. It relates to anyone in any country going through this nightmare. 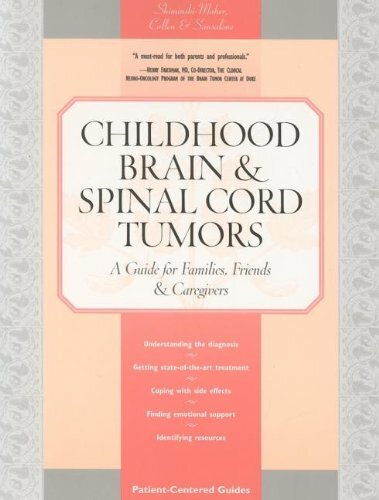 As a parent to a child who had a brain tumor, I feel that this book covers all the major topics. When our son was diagnosed back in '98, I searched for such a book but none existed. Our son has since passed away but we are thankful that this book is available - particularly for newly diagnosed families. We purchased copies for our public library and for The Jimmy Fund in memory of our three year-old son, Kevin Kirsch. Thank you for writing this much needed guide. It will be a resource for caregivers and medical professionals alike. Having a daughter die of a Brain Stem Glioma, this book would have helped tremendously. This book ia all you need to know about eldercare and elder caregiver responsibilities and options before, during and after any sort of institutional or home care considerations. The personal insights given by people from around the country was also very helpful and informative. 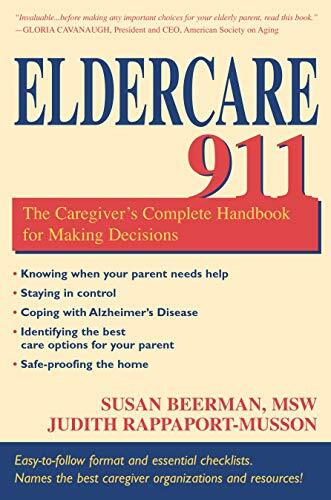 Eldercare 911 is required reading if you're considering or are actually in an eldercare mode. With the responsibility of having to take care of a 91 year old mother-in-law, I have been searching for an extremely long time for a care giver's manual to assist me. THIS IS THE BOOK TO ANSWER MY PRAYERS ! 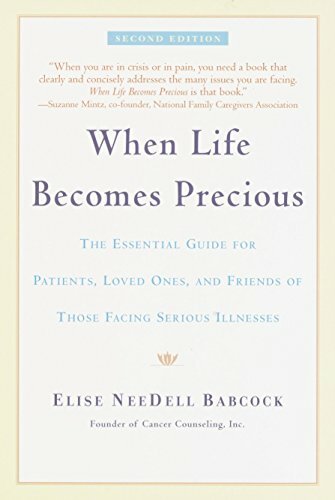 In the short time I have had this book it has continually aided me in the decision making process of how to deal with day to day problems associated with care giving to an older family member, as well as determining which of the problems I encounter are abnormal and need special attention and which are not. THIS BOOK IS EASY TO READ, UNDERSTANDABLE AND A MUST FOR ANY CARE GIVER. 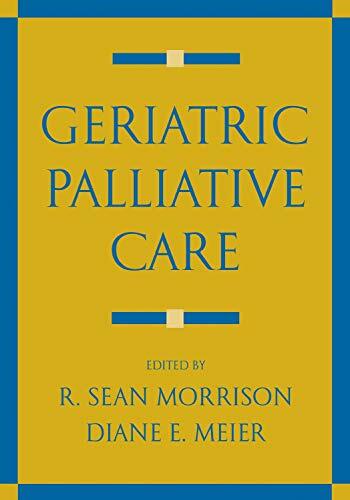 This highly detailed and easily read volume seems to cover every consideration and situation that could arise in caring for an elderly person. The emphasis is on in-home maintenance of the elderly, specifically parents, although one chapter is devoted to selecting and monitoring a nursing home. The book gives the impression of being able to prepare the reader for any situation and to help him cope with whatever comes up. The point is made throughout that caregivers need to avail themselves of the many resources that exist to help them with information and hands-on help. The idea that taking on the responsibility for an ailing or aging parent means that the caregiving offspring do everything by themselves, while simultaneously continuing to meet the demands of their own lives and families, is shown to be destructive to the caregiver as well as in many instances impractical. One element in successful eldercare is keeping up with exactly what is happening with the elderly person and how to cope with the problems it may present. Thorough documentation of everything is stressed, such as physical conditions and medications, prescriptions, diet, etc. Forms are presented to simplify this, along with checklists of things to do in various situations. A liberal inclusion of anecdotes from caregivers around the U.S. reveals the many difficulties and rewards experienced by those engaged in looking after their elders. Web sites and addresses are given for various agencies, as well as the authors of the book. There were many anecdotes in the book that sounded like they were taken from my own personal experience. It was comforting to know that there are others with similar issues. I came away with many new ideas to try and make my situation more tolerable. I would recommend this book to anyone who finds themselves in a comparable situation. Four million Americans currently suffer from Alzheimer's disease and experts estimate that 22 million people around the world will be so afflicted by 2025.Far too many families are struggling with the emotionally and physically draining responsibility of redefining their relationship with, and caring for, someone who not long ago was a vibrant member of society, yet may not know their own name today. 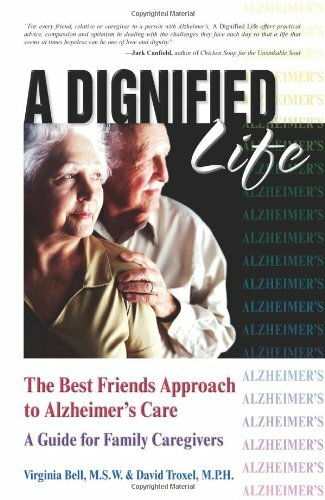 A Dignified Life helps combat the burnout and frustration that often accompany the task of caring for an Alzheimer's patient. Author David Troxel, an Alzheimer's expert and executive directorof the California Central Coast Chapter of theAlzheimer's Association, maintains that at its simplest this approach is based on treating the person like a best friend and working from their strengths, not their weaknesses. He explains: "As family members, caregivers and professionals, we have to try to connect with them. People with this disease in some way need someone to be . . . attentive and empathetic--someone who really tries to walk a mile in their shoes." A Dignified Life goes beyond the typical tips offered by most books and takes advantage of readers' instinctive desire to build friendships and taps into the intuitive aspect of caregiving that is part of our very nature.It provides a complete model for care built around creative and effective communication and meaningful activities and includes touching stories that demonstrate how the Best Friends method continues to improve the lives of both those who have Alzheimer's disease and those who care for them. I recently finished reading A Dignified Life by Virginia Bell and David Troxel and wish to thank the authors for making available a wonderful book on a difficult subject. It has provided tremendous support in helping me better understand Alzheimer's and especially how to relate to family and friends who have it. Recently my dearest aunt and uncle were diagnosed with this disease and I was unsure how our visits would go: what to say, how to interact with them, and what to do with them. The Best Friends approach offered such practical tips, examples, and guidelines to help with communication and interaction. It made my visits with my aunt and uncle less stressful and more enjoyable for all of us. My aunt still enjoys her sense of humor, so that the section on Friends Laugh Together and Often made a lot of sense. I would recommend this book for anyone dealing with relatives or friends with Alzheimer's disease. Above all else it helps us remember to treat them with dignity as best friends. 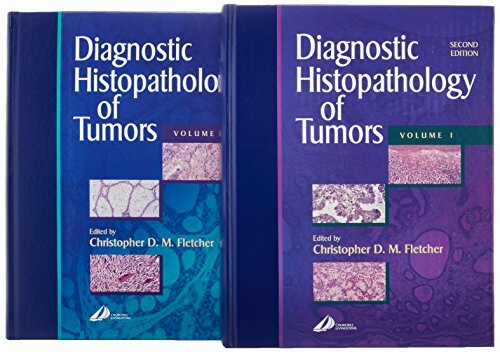 The best book of tumoral histopathology in this time!!!! If you have parents, buy this book! As a family physician, I care for patients every day who don't have a clue what to do when their parents need care. This book can help a family prepare for the eventual tasks that either are or will face them in the future (if a parent is still alive). This complete guide is medically accurate and chock full of wise advice. It's in my library and I highly recommend it to my patients. This book has very practical information. As a Geriatrician, I frequently encounter patients and their families who have multiple questions regarding aging issues. Now, I have a tool I can share with them. It is easy to read and well worth the price. It would also be a wise gift. For the 54 million Americans who currently care for aging parents and loved ones, this important resource provides essential information for solving day-to-day problems in the real world. The Caregiver's Essential Handbook includes valuable insights and commonsense tips from those who have walked in their shoes: nursing professionals, physical therapists, social workers, and loving family members whose creativity and resurcefulness offer immediate help to those in need. Here are practical solutions for saving money on medication; getting doctors to really listen; making life easier for people who are visually, hearing, or mentally impaired; and most important, taking care of oneself. Ordered this book from seeing it online. It was an easy read and I got a lot of tips from it (I started helping take care of my mother this year). Definately recommend. 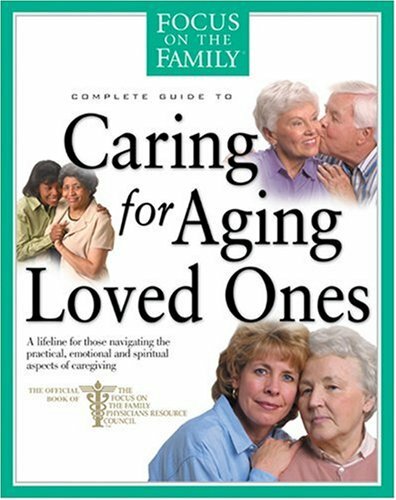 This is an extrememly insightful and eminently readable guide for the many of us who are struggling to care for our aging loved ones. As as clinical psychologist working with families and specializing in child therapy, I have been uncertain how to advise parents when they describe the challenges they face with raising their children while also caring for their own parents and aging relatives. Now, with The Caregiver's Essential Handbook, I have an excellent source of practical information and advice to offer overwhelmed families. The 1,200 tips are clearly organized and easy to locate. There are invaluable phone numbers and web sites listed in the Appendix. All in all, one can just pick up this book for a few moments and gain a lot of invaluable information. I am extrememly grateful that my colleague Sasha Carr and Sandra Choron have provided this wonderful resource. It will make a great difference in many families' lives. As a clinical psychologist specializing in geriatrics, I am frequently asked to recommend resources for desparate and overwhelmed caregivers who don't know how to handle the tremendous burden of aging loved ones, particularly those who are dementing. Anyone who works in gerontology or is a caregiver herself, knows that caregivers have precious little time or energy for research and reading. They want PRACTICAL SOLUTIONS and ADVICE delivered in a way they can understand. Until this book, there hasn't been anything I could strongly recommend that is 1) accessible; 2) practical; 3)professional; 4) concise; and 5) pleasurable to read. 1) 20 specific "Good Outings"
All 1,200 tips are divided into common-sense categories, making it easy to locate the information you need. Needless to say, the book is also chock-full of relevant phone numbers and web sites in an Appendix, and also includes a helpful index. The Caregiver's Essential Handbook is just that, and has become the "go-to" guide that I now recommend to patients and caregivers. Jolene Brackey has a vision. A vision that will soon look beyond the challenges of Alzheimers disease and focus more of our energy on creating moments of joy. When a person has short-term memory loss, his life is made up of moments. But if you think about it, our memory is made up of moments, too. We are not able to create a perfectly wonderful day with someone who has dementia, but it is absolutely attainable to create a perfectly wonderful moment; a moment that puts a smile on their face, a twinkle in their eye, or triggers a memory. Five minutes later, they wont remember what you did or said, but the feeling you left them with will linger. Brackey has broken down the learning process into the five sections of the expanded third edition of Creating Moments of Joy for the Person with Alzheimers or Dementia. Within those sections are smaller steps. At the end of each step is a place where you can journal your thoughts, solutions, and treasures to help you achieve the overall goal of creating many moments of joy for the person with dementia, and for you! A wise and compassionate guide to caring for a critically ill child. Nothing is more excruciating or heartwrenching for parents than caring for a child who is critically ill and unlikely to survive. A recent Harvard University study on pediatric end-of-life care has shown that the medical community is failing such children and their families. Indeed, in their effort to be ever-hopeful and cure-oriented in the face of a child's terminal illness, they neglect to advise parents on the basics of emotional support for all family members, pediatric pain medication, and the need for making plans and worst-case preparations. If you believe knowledge is power. . . In the groundbreaking PBS special And Thou Shalt Honor, producers Harry Wiland and Dale Bell bring to light the challenges facing today's caregivers. 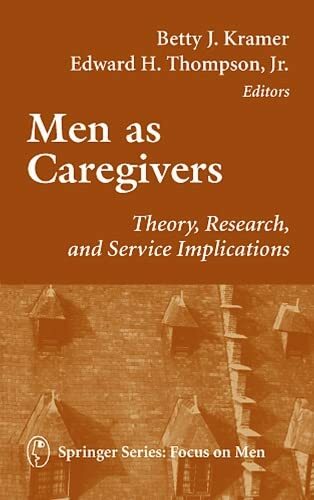 This companion volume picks up where the show leaves off, providing the kind of information and practical support essential for anyone in a caregiving situation. More than 54 million American families are involved in the care of loved ones who are elderly or ill. And millions more will be affected in the years to come. 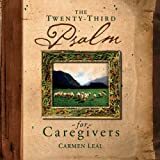 If you're a caregiver, or you expect to become one, And Thou Shalt Honor: The Caregiver's Companion offers help and hope. 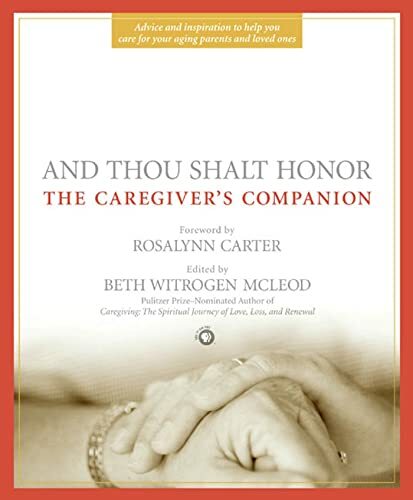 Complete with action plans and checklists for key caregiving issues, plus a comprehensive directory of essential caregiving resources, And Thou Shalt Honor: The Caregiver's Companion reaches out to all caregivers--and to those they love. Make it your companion for the caregiving journey. This book is absolutely necessary when the time comes to think about your parents, and their aging, and what to do just in case. How do I approach this w/ my parents? or , what child will be responsible for the arrangements?, or, why me? 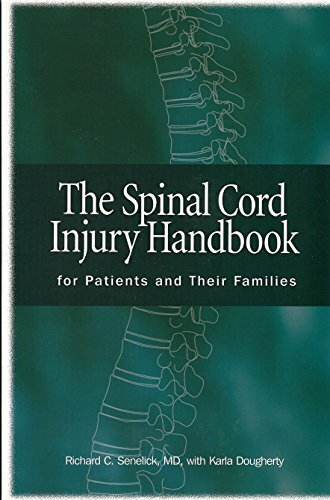 This book is an excellent resource for general public and professionals who are interested in the theme of spinal cord injury (SCI). It uses clear language and also good humor. All to help you understand the important basics of SCI and also to help you survive to SCI. I am using it for my doctoral dissertation as an excellent reference. Congratulations to the authors! I highly recommend this book. This book was great. It told about the various types of spinal injuries and how each injury is different based on where the injury was located and how it affected your body and daily life skills. It also gave insight as to what the family has to deal with as well as the patient.It also covered everything from what a spinal cord injury was to diagnosis and treatment;skin care; rehab;bladder and bowel management and caregiver relief. This is the A-Z book when in comes to spinal injuries. I found in very informative as my husband recently suffered a spinal cord injury at work and we were told that he would never walk again. However, we have been blessed and he is walking 100 ft w/a walker at a time and is slowly regaining movement in his lower extremeties and we hope that he will be back to his old self soon. This book is for people who feel comfortable communicating through their hands and for those who wish to feel more ease in transmitting care through touch. It is for people whose responsibility or job or gift is to oversee or to help take care of the elderly and ill members of our society. It is for sons and daughters caring for aging parents with physical impairments that effect a role reversal in a lifetime of relating. It is for the courageous men and women who continue caring for spouses or mothers or fathers with dementia related diseases such as Alzheimer's after such a disease has robbed that loved one of the ability to remember the relationship he or she once shared with the caregiver. It is for companions and family members struggling and sometimes sacrificing to provide care for their loved ones at home.